Pioneers in the industry, we offer automated storage and retreival system, heavy duty pallet racking and stackable industrial plastic pallets from India. 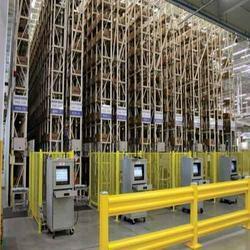 We offers a complete solution of Automated Storage and Retreival System as we have gained a long experience in the same line . SPANCO Heavy Duty Pallet racking is generally laid out with single-entry wall racks on the perimeter sides and double-entry racks in the middle. The working aisle measurement between each rack and the rack height depends upon the characteristics of the fork-lift trucks or lifting devices, pallet size and the height of the warehouse itself. 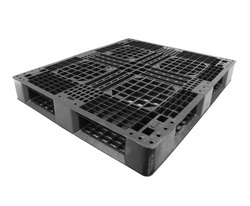 We offer a wide range of Stackable Industrial Plastic Pallets for every application in material handling,our range of plastic pallets allows customers to choose their own size plastic pallets.The offered pallet is precisely designed by using finest quality of material and modern techniques in fulfillment with set guidelines. 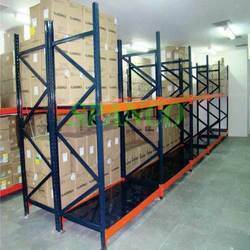 Looking for Heavy Duty Pallet Racking ?